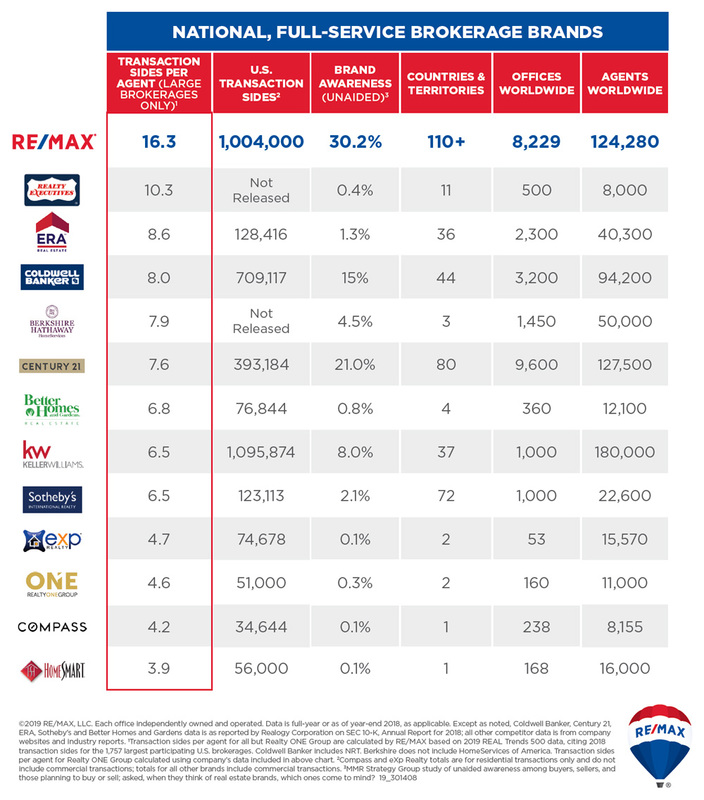 This is a terrific report that gets published every year showing the productivity of RE/MAX vs. other brokerages. Every year, as far back as I can remember, RE/MAX has had the highest sales-per-agent nationally among the biggest brands in real estate. This isn’t just by chance. It’s the fact that the fundamentals are different at RE/MAX. RE/MAX is set up to attract full-time, experienced professionals. The best part about this for the consumer is knowing that when they choose a RE/MAX agent, they are typically choosing an agent with experience who will give them good advice and get them the results they want no matter the current market conditions. Of course, I’d love to help you with your real estate needs in Flagstaff, but also please contact me if you’d like a recommendation to a RE/MAX agent in any other area. 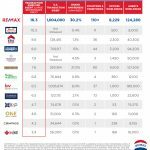 Click the thumbnail to view the report or click here to view the official announcement on the RE/MAX website. There were more sales in the month of August than we’ve seen in any month in years! We had 151 residential sales, compared with 119 in August of 2012. The number of sales in Flagstaff this summer has increased 28% over last summer. This demand has led to continued price increases. However, as you would expect, more properties have come on the market as prices and conditions have improved, which has offset some of the shortage that was driving up the prices. While we still have substantially fewer homes available now than two years ago, we’re basically back to last year’s levels. This is the same trend we’re seeing with pending sales – the number of homes under contract is higher than two years ago, but about the same as last year. Add to this the fact that interest rates have jumped up considerably in the past two months and it begins to create some uncertainty as to whether the real estate market will see further gains or whether it will stabilize at the current level. A lot of it depends on whether the economy has improved enough to support more demand in the housing market. 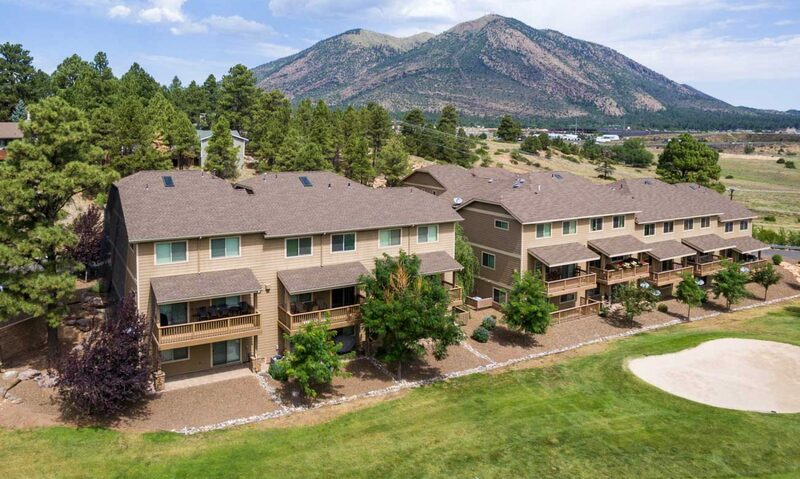 The Flagstaff real estate market has made a lot of interesting changes in the past year. We’ve been so accustomed to negative housing and economic news for the past few years that it seemed recovery would never come. However, for the first time since the real estate crash, sales and prices are finally shifting in a positive direction. Here are some highlights that show the improving real estate market in Flagstaff. As recently as January 2012, distressed properties (foreclosures and short sales) made up 61% of all residential sales in Flagstaff! In less than a year and a half, this has dwindled down to the point where only 25% of all sales are foreclosures or short sales. This is still a large enough percentage to have an impact on the market, but the fact that it’s declining is a positive sign for the housing market. The number of available homes in Flagstaff is down 33% from two years ago, while the number of year-to-date sales are up almost 20% in this same time period. This shift in the supply and demand has caused prices to rise for the first time in years. In Flagstaff, most homes have seen appreciation of 7-10% since the low point last year. Interest rates have been averaging at or below 4% for the past year and a half. Rates are constantly in flux but it is generally thought that the rates will begin to gradually increase and recently have begun to do so. The reality is that these rates are incredibly low and, in the long term, have no where to go but up. Of course, even rates in the 5-6% range are low by historical standards, but the exceptionally low 4% rates will likely continue to spur activity while they last. With the squeeze in available homes, there’s been a surge in new construction in Flagstaff. Year-to-date in Flagstaff, there’s been three times the number of permits granted for residential new construction as there was just last year-to-date. Coconino County has also seen improvement with a 42% increase in residential permits from 2011 to 2012. Not only was Arizona’s housing market one of the hardest hit in the nation, the economy and the state’s finances were in bad shape as well. However, being a resilient state and a state willing to make difficult choices, we’re already on the road to recovery. Arizona has recently been named by Kiplinger as one of the “10 States with Biggest Rate of Job Growth” and by Forbes as one of the “Top 10 Fastest-Growing U.S. States,” both of which are good signs for the future of Arizona. Also, in just a few short years, the state of Arizona has gone from a low balance in the general fund of -$905 million in December 2009 (this was the only time period with a negative balance in at least 20 years) to now having a positive balance of a whopping $2.9 billion! As you can see, the real estate market and economy have seen some improvements and are currently heading in the right direction. Ideally, we’ll continue to see a gradual, steady increase in sales and prices, supported by a healthy and growing economy. Prices Finally Up in Flagstaff! Unless the real estate market takes another dive, it appears the bottom of the market in Flagstaff was sometime around August 2012. The prices had started to climb earlier in 2012 before dropping again to that low, but have been climbing steadily for the past seven months since then. In fact, the market has made quite an astounding jump since that low point with trailing average and median prices gaining in the ballpark of 10%! The increase in prices is due to the fact that there are fewer people selling and more people buying, tipping the scales of supply and demand and forcing prices upward. The supply of homes has decreased due to fewer short sales and foreclosures, less desire and ability for people to sell at the lower prices, and the extremely low levels of new construction in the past few years. The demand for housing has increased due to low prices, low interest rates, and pent-up household formation. There was such a drastic market correction that home prices were likely below their true market value for the past couple years and are adjusting back to that point. It will be interesting to see whether the upward trend takes hold this time and at what level it continues. In the real estate boom, we had an absurdly strong seller’s market, where instant sales and bidding wars were commonplace. Then in the bust, we had the opposite: a very strong buyer’s market where prices were tumbling, selection was overwhelming, and low buyer confidence kept most buyers on the sidelines. Now, we’re in an unusual real estate market where it’s both a good time to buy and a good time to sell, at least momentarily. This is very good news for anyone who’s contemplating a move. There are a number of reasons for both buyers and sellers as to why now is a favorable market. Buyers can take advantage of historically low interest rates, which gives them unprecedented purchasing power. At the time of this writing, rates have been just over 3.5%! Keep in mind that as recently as 2008, the rates were above 6%. If you’re not clear as to how much of a difference the interest rates make, read this post. Home prices have essentially been rolled back to 2004 prices. This alone should be incentive enough to buy, but coupled with amazingly low interest rates, this may be the one chance to get into the home you want. You can likely afford more than you think and the prices are showing signs of increasing, so don’t miss out. Rents have been increasing in Flagstaff for various reasons, including increased enrollment at NAU. In most cases, it is quite a bit cheaper per month to own than to rent. The inventory of available homes has dropped by 37% in the past year! Low inventory means you have less competition from others trying sell. Also, you’re competing against far fewer foreclosures, which are typically priced aggressively. Prices have begun stabilizing. This is good in that you don’t have to worry as much about putting your home on the market and watching the prices plummet before you can get sold. Some segments of the market have even begun seeing price increases. The number of sales in Flagstaff has picked up over the past year by about 10%. Essentially, there are more people buying and fewer available homes. In the past few years, most people have dreaded the thought of having to sell, but, as you can see, the market has become more favorable for selling. In fact, with the lack of available homes for sale, we’re technically in more of a seller’s market. However, with the low interest rates and good prices, you can’t go wrong being a buyer either.